We are spoilt for an abundance of wonderful green spaces and parks in Bedford and further afield. If you are looking to get back to nature you can be sure to fill many days exploring so many places. There are also lots of other great days out for the family to enjoy. Over in Marston you will the Forest Centre (MK43 0PR) who have a vast forest waiting to be explored. 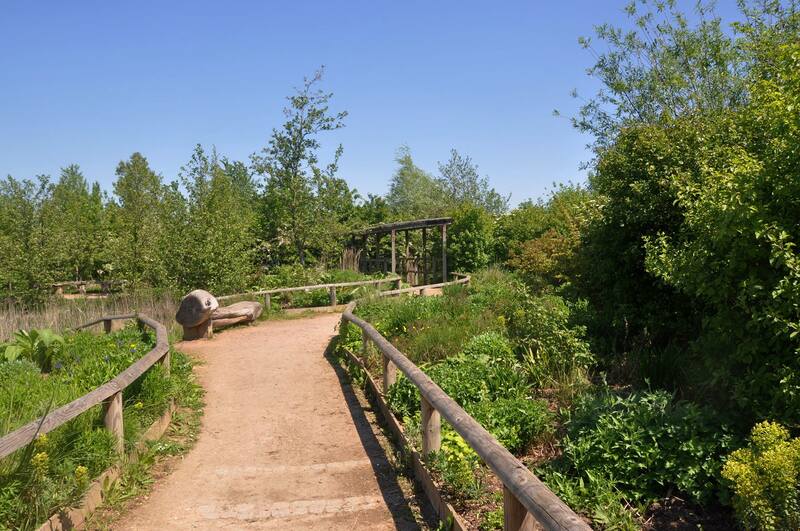 Discover the wildlife in their Wetlands Nature Reserve, join in the Forest School activities, go on a Scavenger Hunt (or any of their other hunts) and after all that activity pop into their café for some well-earned refreshments. They also have a year-round calendar of events that you can find here! 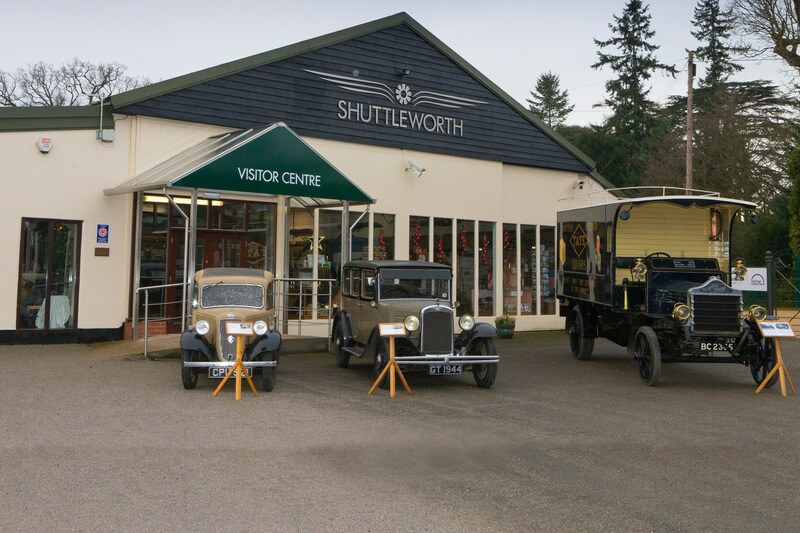 Another great day for all the family is found at The Shuttleworth Collection (SG18 9EP), they are home to an airfield and they regularly host amazing airshows including the Flying Proms! It’s well worth a visit to their Collection of vintage aircraft, vehicles, classic motorcycles, veteran bicycles and agricultural exhibits. You can then stroll to the tranquillity of The Swiss Garden and its peaceful gardens. There are listed structures within the garden to delight you and in the woodland you will find a sculpture trail. During holidays children (and grown ups) can join in workshops and activity trails. Make sure you say hello to the resident peacock too! If your little ones still have energy to burn, there is a fully equipped outside play area suitable for up to 12 years. Before you leave, make sure you enjoy the delights in the restaurant and pop into the gift shop. 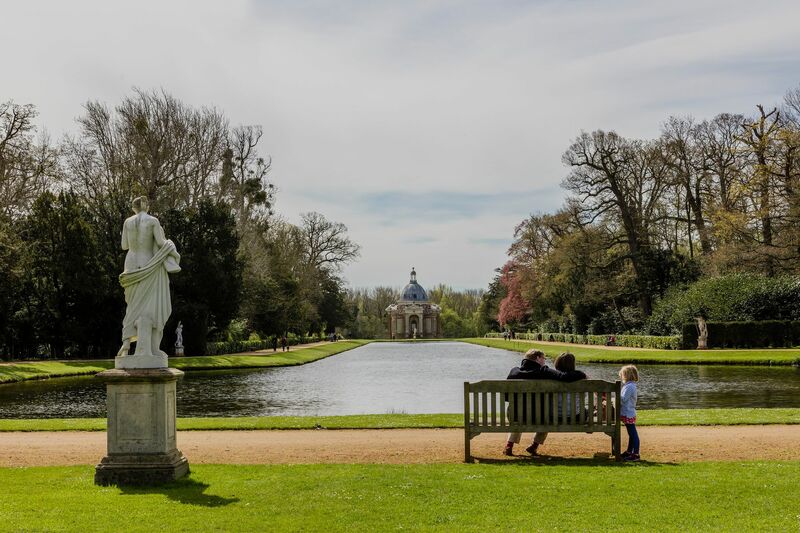 Over in Silsoe you will find English Heritage’s magnificent Wrest Park (MK45 4HR). Set within 92 acres of award-winning gardens there’s something for everyone here. Within the grounds there are French, Dutch, Italian and English gardens with many hidden gems to include ornate fountains and statues. There are also woodland walks and a outside children’s play area with a zip wire to make sure everyone get’s plenty of fresh air. The café serving locally seasonal meals is situated next to the play area so you can put your feel up whilst the smaller ones use up their extra energy. Inside the house is where the Dairy Sculpture gallery is situated, a dairy that converted into an art gallery and here you will find beautiful statues. Also, to entertain and educate is the Archaeological Collections Store – objects spanning the last 2,000 years. For thrill seekers and water lovers, head on over to Box End Park (MK43 8RN) for a fun filled and exhilarating day out. There’s fun for everyone (age 6 upwards) in the giant size aqua water park with plenty of obstacles and the mega slide. 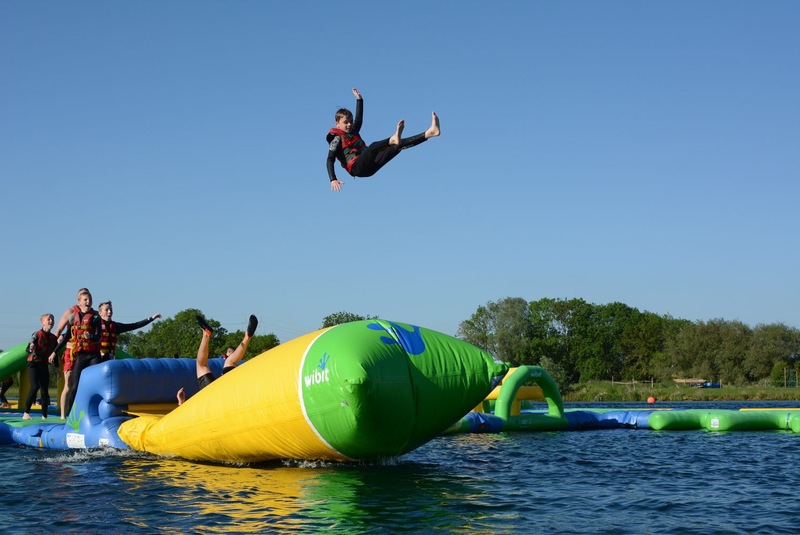 For the more adventurous there’s the newly open Lake Ninja to leap, jump and swing across – will you win? You can also wakeboard, kneeboard and waterski on the overhead cable tow as well as other water spots to include boat skiing, paddle boarding and open water swimming. If all this sounds a bit exhausting, you can enjoy the view from the lakeside with a glass of something chilled from their bar. They also have a snack bar and restaurant, but picnics are also welcome. Activity days take place throughout the school holidays to fill those long weeks off. 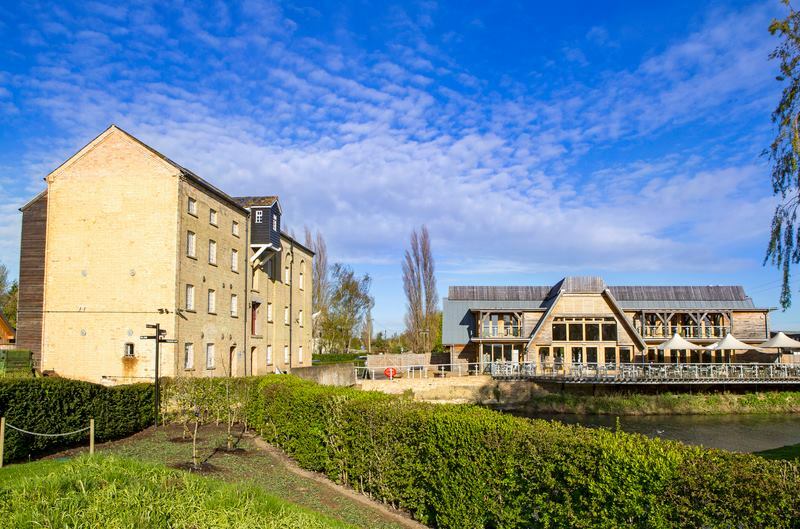 Bromham Mill (MK43 8LP) is an historic water mill from either the 18th or 19th century and you can see a lot of its workings as you take a tour. They host regular markets and workshops and every October they have Apple Day – a celebration of country living, food, art, craft and the heritage of the mill. There’s outside space including a play area and a café. One of our favourite days out is Ready Steady Roll (MK44 1ND). 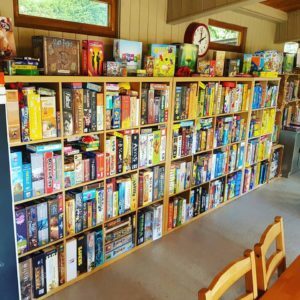 Housed within the picturesque Ivy Lodge Farm in Sharnbrook it is a haven for family fun with hundreds of board games to play. Never fear if you don’t know the rules as the experienced team can explain the rules and give a guiding hand. There are all kinds of games to play from the traditional to the weird and wonderful. They bake delicious cakes for you to enjoy along with other savoury treats and great coffee. 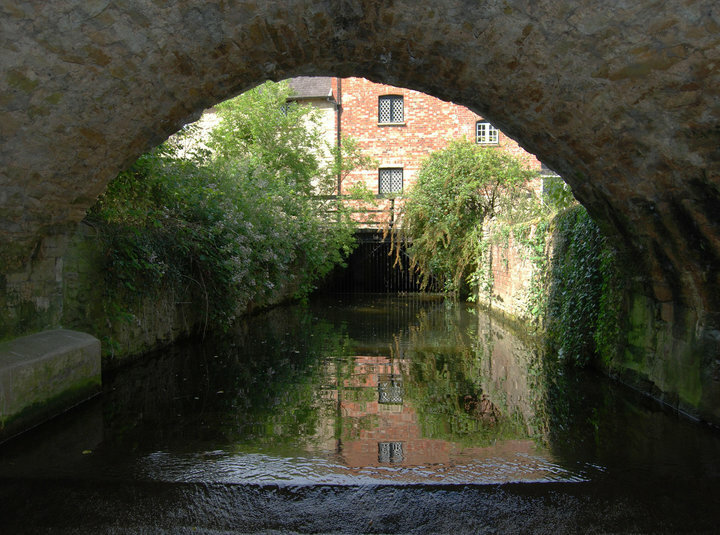 Jordan’s Mill (SG18 9JX) is an historic mill and gardens based near Biggleswade. Outside there are unique food and flower gardens where crops, vegetables and fruits are grown alongside ornamental settings and they regularly host tours. The meadow and woodland is great for spotting wildlife as it has woodpiles, birdboxes and an insect hotel. In the historic mill you step back in time to see first-hand how flour was produced and its suitable for children as well as adults. A great place for a walk is Harrold-Odell County Park (MK43 7DS), 144 acres of parkland and nature reserves. There are two pathways with the main one taking out about an hour to get around the Grebe Lake. There are play areas, bird hides and learning areas to enjoy with a café by the car park. Summerfield Miniature Railway (MK45 3BH) is a hidden gem run by The Bedford Model Engineering Society. They are open from April to October for rides and also in December for Santa Specials – see here. A great day out can be found in Woburn. Enjoy the picturesque village shops and eateries, the farmer’s market and in the summer time, The Lido is a popular place for a dip to cool down. Woburn Abbey has been home to the Duke and Duchess of Bedford for nearly 500 years and you can explore The Abbey with its unique art collection, a treasury of silver, porcelain and fine English and French furniture or you can stroll through 28 acres of award-winning gardens. You can also drive through the extensive deer park to spot the 9 species of deer. Check out their events here.